Philanthropy: Alpha Phi Foundation. All proceeds go to Women’s Heart Health and cardiac research. Philanthropy: Operation smile, Relay for life, and Phi Sigma Sigma foundation. They help children with cleft pallets, support cancer research, and the help with school and college readiness for under privileged children. 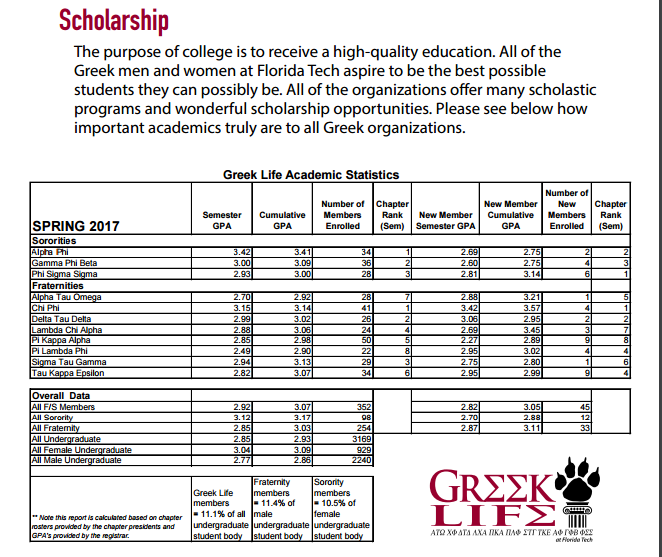 Did you know that Greek organizations have some of the highest GPAs on campus? Check out the link below!